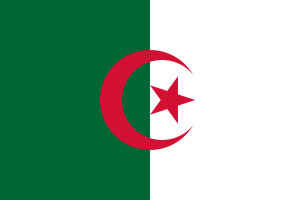 Algeria competed at the 2013 Mediterranean Games in Mersin, Turkey from the 20th to 30 June 2013. ↑ "L'Algérie termine dixième". djazairess.com. 23 August 2016. Retrieved 30 June 2013. This article "Algeria at the 2013 Mediterranean Games" is from Wikipedia. The list of its authors can be seen in its historical and/or its subpage Algeria at the 2013 Mediterranean Games/edithistory. Articles copied from Draft Namespace on Wikipedia could be seen on the Draft Namespace of Wikipedia and not main one.